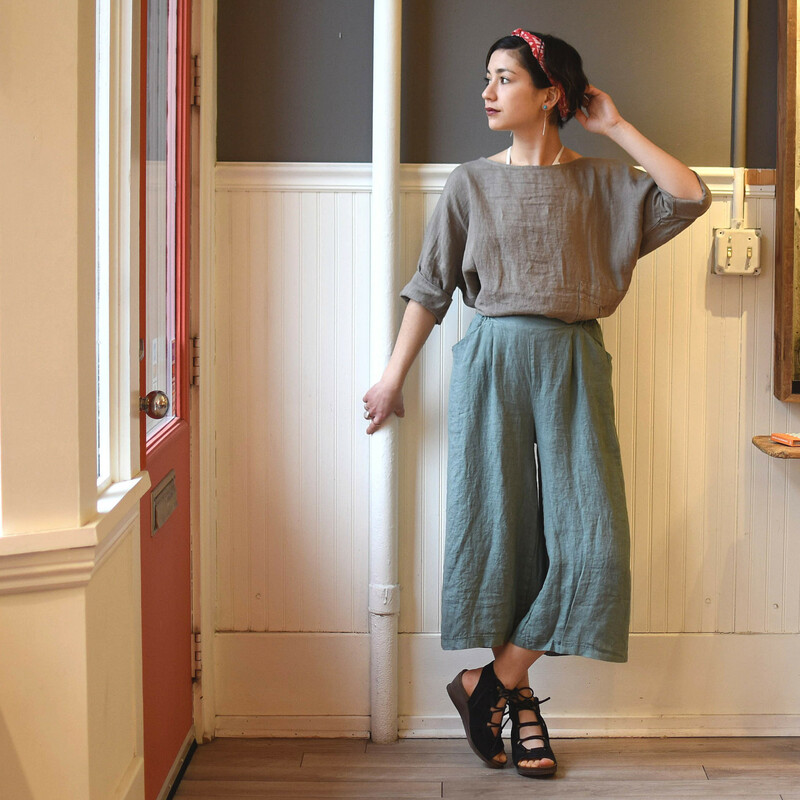 The linen gaucho pants has two side pockets and an elastic waist. They fall to the calf. 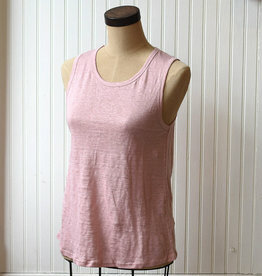 Layer this piece as shown with m italia's linen shortsleeve top. We also like pairing them with other brands we carry: our spring 2019 collection is a good mix 'n match assortment! 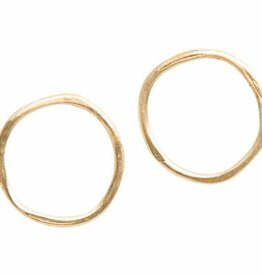 Organic mini circles in yellow bronze make for simple and subtle stud earrings.